It was a week after I got my license. One wrong turn (me), one speeding car (the other guy), and bam — I’d landed in the hospital with two hip fractures, a bruised kidney, and a broken pelvis. I was sentenced to crutches for five months and endured my high school years with the nickname Alyssa Andretti. About a year later, I began experiencing a pain on the left side of my abdomen. It wasn’t in my stomach, it was too high to have anything to do with my ovaries, and a battery of tests ruled out intestinal disorders. Having found nothing amiss, doctors concluded I was plain old constipated. “Eat more fiber,” they said. And that was that. Sixteen years later, the pain remained — sometimes sharp, sometimes dull. I gave up trying to erase it long ago and instead learned to live with it. Back in high school, no one thought to consider that the discomfort might be related to my accident. But recently, I visited a naturopath who raised this possibility. So I began considering new ways to treat that old injury. Easing this tension allows the nervous system to function optimally and opens the “respiratory wave,” the natural movement of the spinal bones that should occur with each breath. The resulting increase in energy and breathing capacity, say proponents, helps sustain all-around good health. While traditional forms of chiropractic rely on standard manual adjustments, practitioners of NSA use a different technique. “A chiropractic degree is required to study and practice NSA, but NSA must be seen as a different discipline,” says Robert Cooperstein, director of technique and research at Palmer College of Chiropractic. Different or not, I’d heard enough good reports that I was eager to give it a try. The results were fascinating — and alarming. In normal position, my shoulders and neck were pushed forward from spending many hours working on a computer. The resulting “interference” on the nervous system might be affecting my digestion, causing my abdominal discomfort. 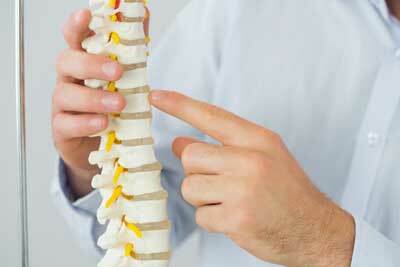 What’s more, my back displayed early signs of osteoporosis. “But I’m only 31!” I said. “It’s very common,” Burke replied. “Few of us have perfect posture, and early signs of osteoporosis can begin in your late twenties.” But as she explained it, just as having tires aligned on a car prevents wear, correcting posture imbalances now will help prevent long-term degeneration — not to mention ease my immediate pain. After this assessment, Burke guided me to a cot, where I lay face down, fully clothed, as she pressed her hands to my spine and observed my breathing. Adjustments came every few minutes and felt like fingers snapping ever so gently along the surface of my back. At points, the change was profound: My breathing opened up, as if I could transport air from the lowest depths of my abdomen to the top of my head. This is the sort of change Burke looks for. “Once I see a patient start to breathe more freely,” she says, “I know I’m on the right track.” At the end of a session, which can last from 15 minutes to an hour, I felt revived. For the first month, I saw Burke two to three times a week. Most days I shared the room with other patients, standard in NSA. At first, I could feel the effects while in the office, but they seemed to fade when I returned to my everyday life. One morning after a major adjustment, however, I awoke to find my entire right side stiff; I called the office in a mild panic and was told it might indicate that my body had begun using muscles differently – a good sign. I spent most of the day lying on my back, but when I got up later that day, I felt more energetic than I had in a long time. A month into treatment, a computer re-evaluation revealed that my alignment had improved drastically: My upper back was less rounded, and the curves in my lower back were closer to normal. Had I not seen these improvements with my own eyes, I might not be convinced. But the proof is there, and so is an ever-increasing awareness. I find I stand straighter, and though I still have a tendency to slouch, I’m more aware of how the slouching affects my breathing. Generally, I feel emotionally lighter — happier, I guess — and people notice. Best of all, bouts of my abdominal pain have dropped to a mere twice a week. And when the pain does show up at all, it’s much less intense. “Hippocrates declared, ‘Look to the spine for the cause of disease,’ ” Burke said. That guy was onto something. Interested in see if Network Spinal Analysis will work for you? Call now for a free consultation.